Do you buy bulk scouring product for your mill? If you're not using Unicorn Power Scour - you're loosing time and money! Many mills have made the switch to Unicorn Power Scour and agree: they spend less money on product, spend less energy heating water, and get higher yield results with Power Scour. Time is saved, profit margins increased, and every drop of Power Scour is biodegradable & earth friendly. 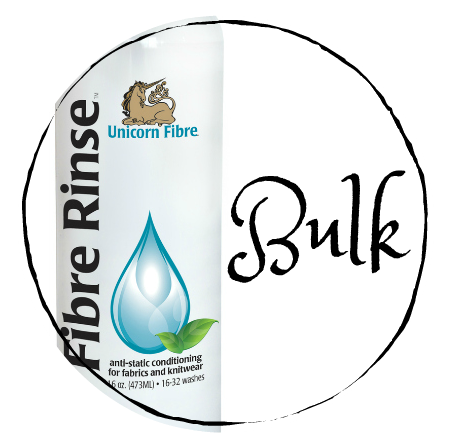 Unicorn is the industry standard in fleece cleaning. Nobody is tougher on grease or more gentle on delicate fibers. Unicorn is commercial grade which means using less product, 50% less than competitive productson average. Unicorn works it's magic in warm water and doesn't need the help of boosters. This means you save money by using less product, less energy and less work. Unicorn is biodegradable, earth friendly and American made which makes for a cleaner world! Contact melanie@unicornclean.com for pricing and more information. We have been thrilled with the high demand for our products in Canada, the UK, Australia, and Europe. While price and shipping were important factors - the results of Unicorn Power Scour justified the cost overseas. If you or your customers would like to enjoy the above savings and realize why Unicorn Power Scour is the best value, we would be happy to provide a sample for you to try - and we’d love to hear what you think. What do you have to loose - added costs and time? Savings is the difference between the higher and lower temperatures. For example rather than scouring wool in 50 gal/200 L of water at 158 F/70 C it is now possible to scour at 140 F/60 F which results in a 11.4% energy savings*. If you were scouring alpaca in 50 g/200 L of water at wool scouring temperatures of 140 F/60 C -or- 158 F/70 C it is now possible to scour at 122 F/50 C which would result in energy savings of 12.9% to 22.8% respectively. We are now experiencing increases in petroleum and other energy costs. Regardless of the type of fuel utilized, if your energy cost for heating water for scouring different oily/waxy fibres or non oily/way fibres was $1,000 you could potentially realize savings* of approximately $114. to $228. *Note: Efficiency depends on the type of fuel used for heating and other variables.